Our next #SomeoneSocial is the boss babe behind Emi Jay, an accessories brand with a cult-following for it’s tropical vibes and sassy catchphrases. 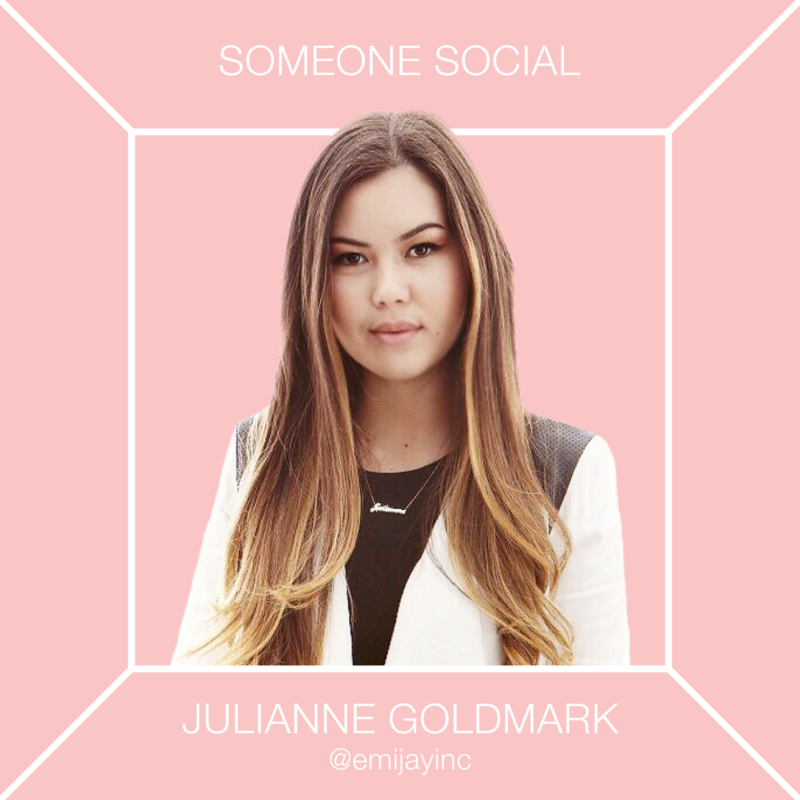 With her partner Emily, Julianne started Emi Jay when she was fourteen, yes you read that right, fourteen. Quickly expanding from just hair ties to tees, sweaters & all things hair, Emi Jay is now a leading force in the on-trend accessories world. We sat down with this babe and got the dirt on her journey in building Emi Jay & where they’re headed next. Q: What was it like going to high school and balancing your empire at the same time? Julianne Goldmark: It was definitely different but we learned so much! Emily and I travelled often for work and our meetings had to be scheduled for after school when normally all we’d have to worry about was homework. I remember being upset one year because I missed a Halloween party due to meetings in New York, but those were the sort trade offs we had to make. Ultimately, building a company at a young age has taught us what it’s like to be in a creative/business environment and that’s something pretty special and important to have already experienced. Q: How do you keep your brand relevant with the changing trends? JG: Overall we like taking simple concepts and making them our own. We follow color and trend forecasts even if it’s just for our hair ties. We always have the most up-to-date Pantone books for every season which helps us stay ahead of the game. As far as apparel goes, we make sure our graphics & wording relates to either social media or phrases of the moment. For example, everyone’s into light denim and boyfriend jeans right now – sort of the laid back easy look. So, we’re launching a “boyfriend tee” which is essentially our take on a super soft white t-shirt accompanied by playful graphics on the pocket area. Q: You had a business before Instagram was cool. How has social media impacted Emi Jay? JG: Instagram actually didn’t even exist in 2009 when Emi Jay started! Social media allows us to have an outlet to share our brand’s vibe and new products. It requires 2 seconds of someone’s attention just to look at some photos on Instagram which is cool especially if your feed is pretty. It allows our customer to fully understand our aesthetic and see how other people wear our products. We’ve also used it in the past to collaborate with bigger brands which is always fun and introduces new followers to our brand who may not have come across it on their own. Q: How do you choose who to collaborate with? JG: We like collaborating with anyone/any brand that goes well with our products and shares a cool story. We work with makeup brands, people, artists and fashion houses to create capsule collections or even just custom hair ties. Last summer we paired up with Frankie’s Bikinis which went perfectly since we are both young entrepreneurs based out of LA, and their bikini prints go nicely with our tees and hair ties. Are you as obsessed with Julianne and Emi Jay as we are? Tweet us @somethingsocial or tag us on Instagram – @somethingsocial. We come across so many babes, bosses and badasses in our everyday routine that we decided to share them with you! 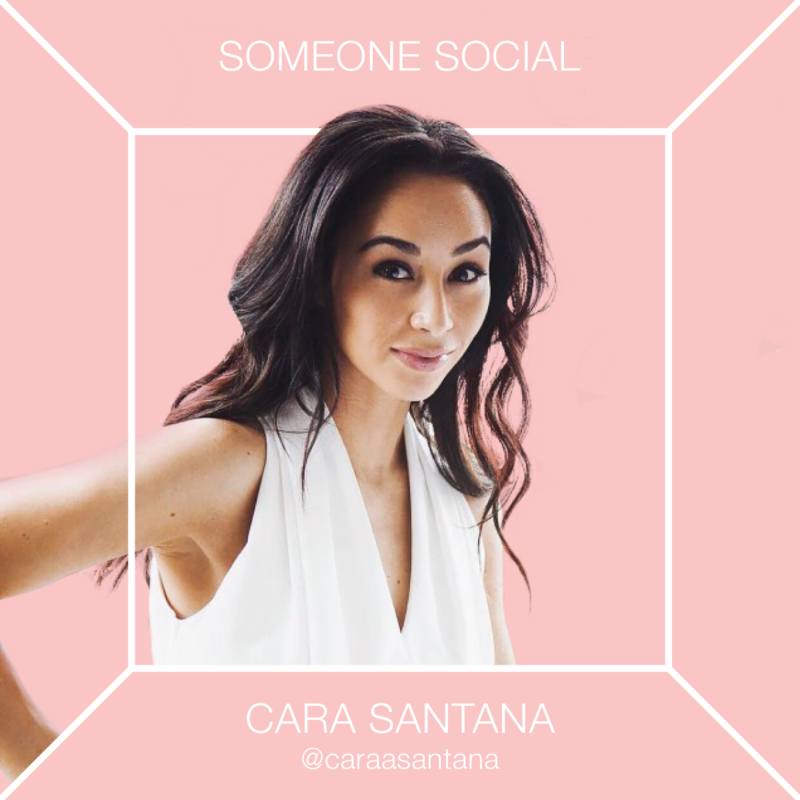 We will be featuring women who inspire us, push us, teach us, and help us grow in our new series, #SomeoneSocial. Who else is feeling inspired by this fierce founder? Tweet us @somethingsocial or tag us on Instagram – @somethingsocial.